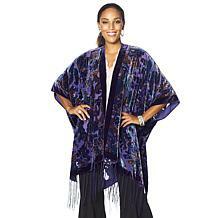 Boho glam. 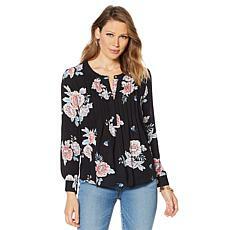 This stylish drama top gives you the perfect transitional piece as you leave the dog days of summer behind to welcome fall's cool chill. 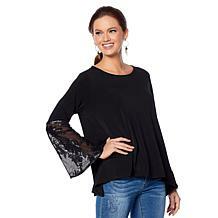 The statement sleeves remain on trend so pairing it is easy, effortless and can be utterly romantic. 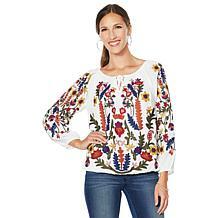 Capture the essence of bohemian glam this spring and summer in a tee that's inspired by all things warm, flattering and memorable. 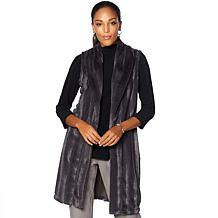 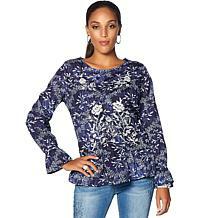 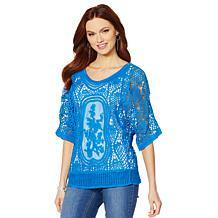 A textured slub-knit and a flirty sleeve mean you look as put together in denim and in skirts. 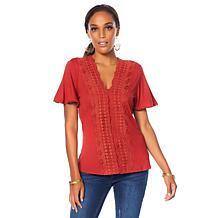 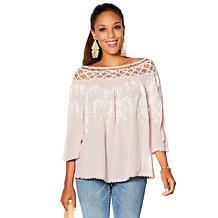 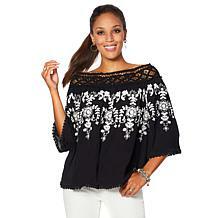 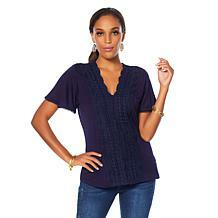 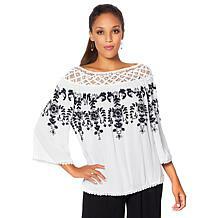 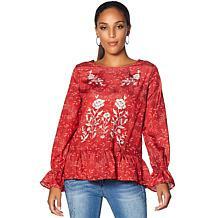 Colleen Lopez Embroidered Crochet Dolman Top The soft, cotton crochet knit with embroidered detail adds a chic, Bohemian touch to your favorite spring and summer bottoms. 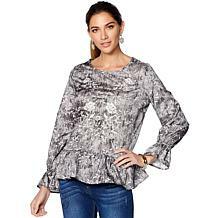 From exquisite details to a comfortable knit this blouse charms its way into your closet for heavy rotation this season. 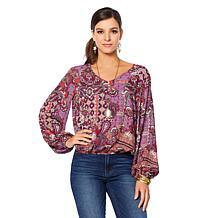 From romantic park days to strolls through streets when shopping, you'll find the bohemian flair unbelievable effortless. 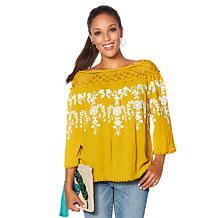 Capture the essence of boho but with all the glam of the day-to-day. 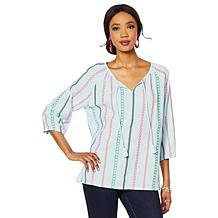 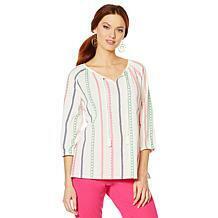 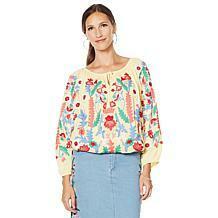 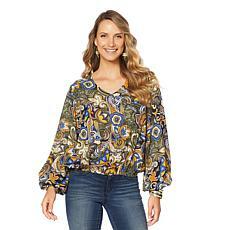 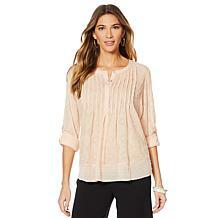 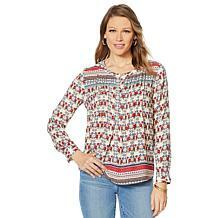 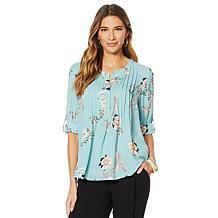 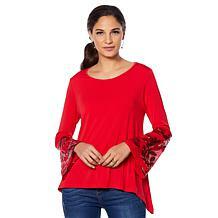 This blouse makes for an easy and effortless choice every day of the week. 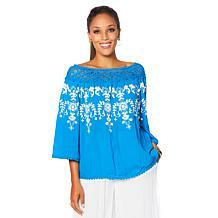 Top off your bottoms and look chic while doing it. 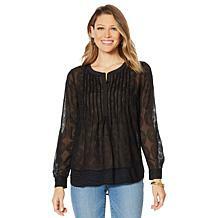 This blouse gives your casual pieces more formal flair and makes dressing for work and dinner with friends an effortless feat. 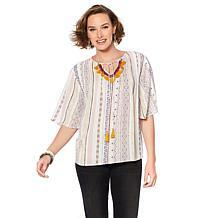 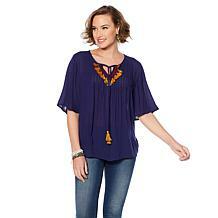 Top off your leggings, denim jeans and more with this tunic. 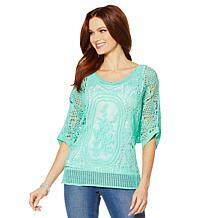 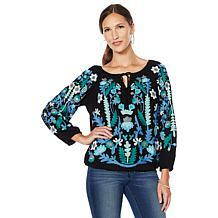 Embroidered trims give it a bohemian vibe, so when the warmer weather beckons a change, this will be your go-to. 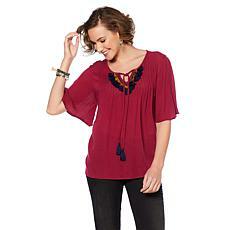 Romance your wardrobe. 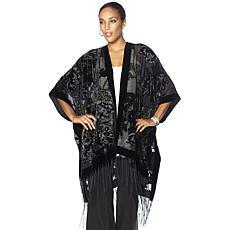 This bohemian glam kimono kicks up your staples and elevates them to a more moody but magnificent aesthetic. 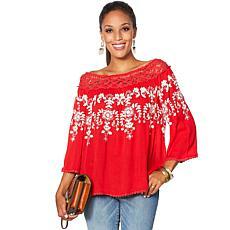 Top it over your tees and tanks and all your long-sleeve tops too.